For social marketers, this is the most exciting time of the year. Oftentimes it’s the most stressful, too. Because coming up with a social media marketing plan means making some big decisions well before the new year gets into full swing. And after all, the social landscape took quite a few twists and turns in 2018. 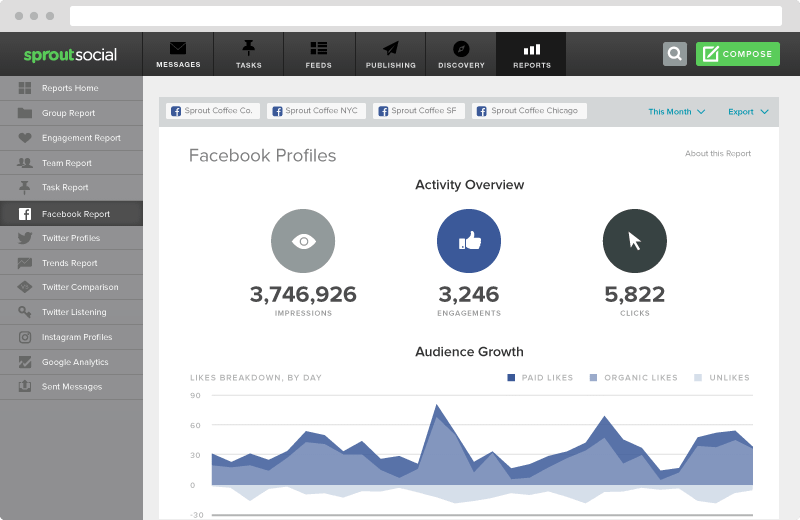 We also saw a whole slew of social ad types and fresh business features roll out for brands. From social selling to advanced analytics, social-savvy brands have more opportunities than ever to sell directly to their audience. Oh, and we also saw a notable shift in social content marketing. 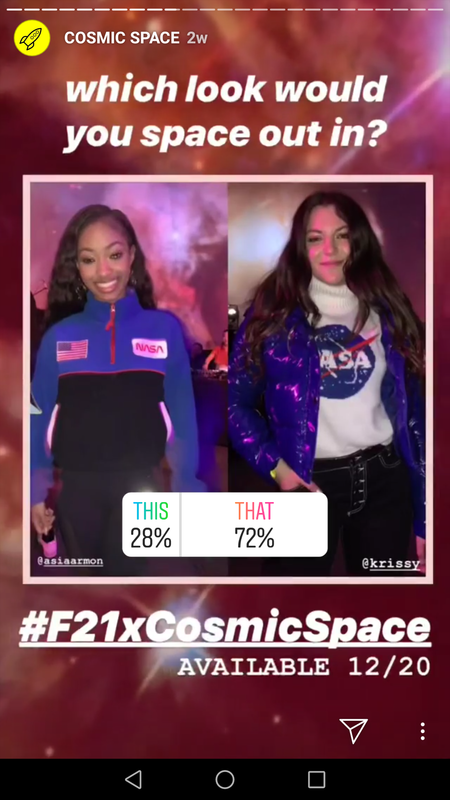 As predicted, brands are going all-in on video and ephemeral content in lieu of more “traditional” posts. Sounds like a lot to process, right? 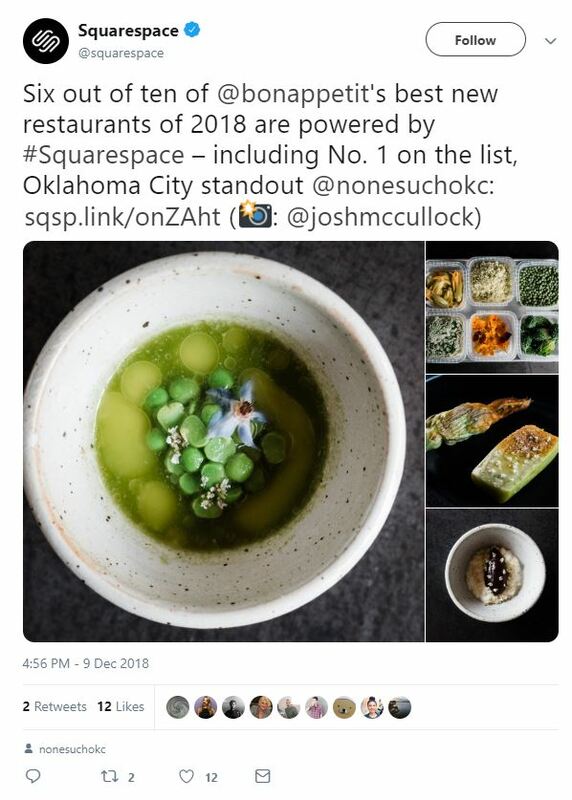 How can you possibly turn these trends into a concrete plan? We’ve put together a comprehensive guide to coming up with your social media marketing plan for 2019 to help you start the new year strong. Regardless of your industry or audience, this approach to planning can work for you. Don’t make the mistake of diving into the new year without a concrete social media marketing plan. This guide covers everything you need from A to Z, serving as your go-to resource for your social strategy in 2019. Click the button below to download our editable worksheets for your social strategy (just open in Apple Preview or Adobe to edit!). Here at Sprout, we’re all about metrics. We believe that brands succeed when they take a goal-driven approach to social that’s rooted in data. Before you obsess over trends and what content you’ll create in 2019, take a step back. Consider why your business has a social presence and the business goals you hope to achieve through social media. Understanding these goals and metrics will set you up for an actionable, measurable ROI. Below are some common goals for businesses on social media alongside the metrics you can track to help you better reach those goals. According to Sprout’s 2018 Social Index, increasing brand awareness is the primary goal of 80% of business on social media. Raising that level of awareness means not just publishing content, but posting the types of content that engage and attract new followers. Bear in mind that these metrics need to be measured from platform to platform. Sprout Social not only provides a big-picture overview of your content’s reach but also drills down to specific posts and social networks. 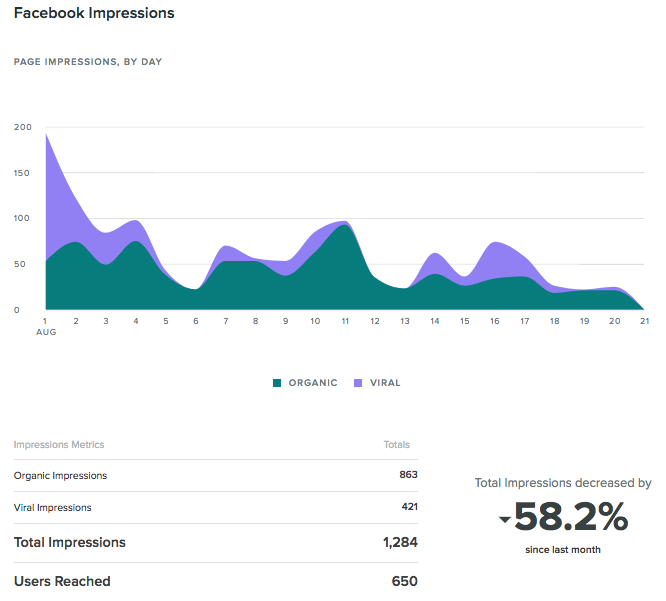 For example, our Facebook impressions report can clue you in on whether or not your posts are actually getting in front of your audience. The more time your business spends creating content and publishing it, your level of awareness should ideally tick upward. If not, it’s likely time to make a change. The beauty of social media is that businesses have a place where they can directly engage with customers without having to wait around. Followers are capable of sounding off at any time. Customers are empowered to ask questions before making a purchase. These touchpoints are valuable for marketers for both figuring out what their audience wants and providing stellar customer service. Typically, high levels of engagement with your brand and social content signal that your marketing strategy is on-point. Each of these metrics represents an incredibly powerful currency for brands today. Likes, comments and shares effectively confirm that your content strategy is resonating with your audience. Although some might see these data points as vanity metrics, it’s crucial to look at them in context. For example, a flurry of likes or comments on a specific post means that you’re capable of creating buzz with that type of content. Link clicks have the potential to clue you in on what products people are interested in, eventually leading them to buy from you. 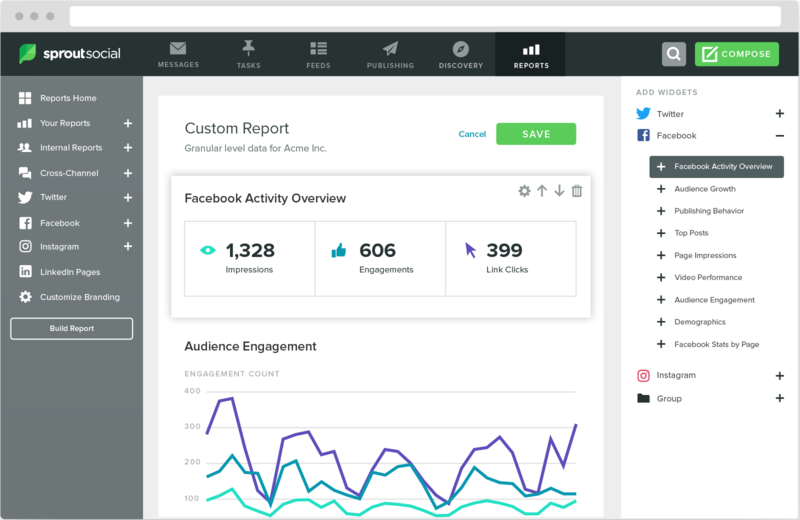 Sprout’s reporting makes it a cinch to keep an eye on your engagement metrics. But perhaps more important is the ability to do so in real-time. Via Sprout’s Smart Inbox, brands can monitor individual interactions and ensure that they respond in a timely manner. 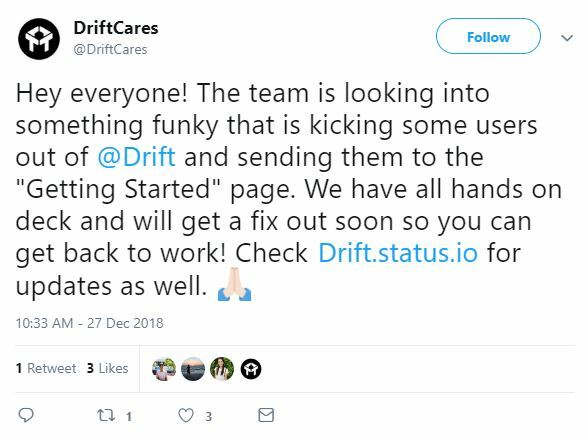 In a day-and-age where consumers expect timely replies, this feature is a game-changer for making sure no engagement goes unnoticed. Based on current statistics, the average person is spending more and more of their time glued to social media versus traditional sites. This challenge signals both the need for brands to market their sites to social users, but also tap into social media as a primary source of traffic versus organic or paid search. Through content marketing via social, brands can give followers a much-needed incentive to check out what their sites have to offer. These metrics can be found in Google Analytics. For example, the “Acquisition” tab can clue you in on which social networks are driving the most traffic and how those users are behaving once you land on-site. Based on behavior highlighted by bounce rate and average session duration, businesses can see where their most engaged visitors are coming from. This can directly influence your social strategy as you spend more time driving traffic from the sources that make sense. Transforming social followers into long-term customers is the desired end-game for most marketers. Making this happen means funneling your followers to your website where they can read content, check out products and ultimately convert. In addition to monitoring website traffic, brands should set specific conversion goals to better determine their social media ROI. 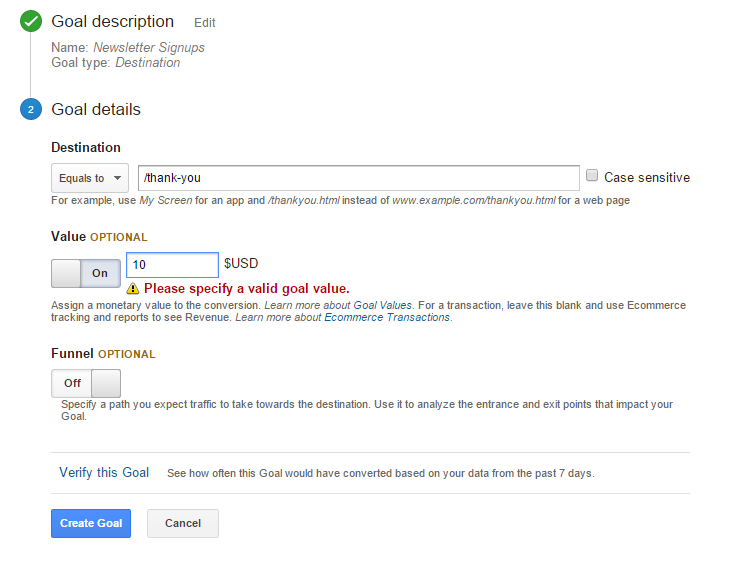 Setting up those goals in Google Analytics can help you determine exactly what your social traffic is worth in terms of dollars and cents. Although any top-of-funnel social traffic is a good sign for brands, the ability to measure the financial value of that traffic is crucial for accountability. By knowing what your social traffic is worth you can justify your time and money spent on social. Speaking of which, the increased emphasis on paid social ads puts even more pressure on marketers to produce results. 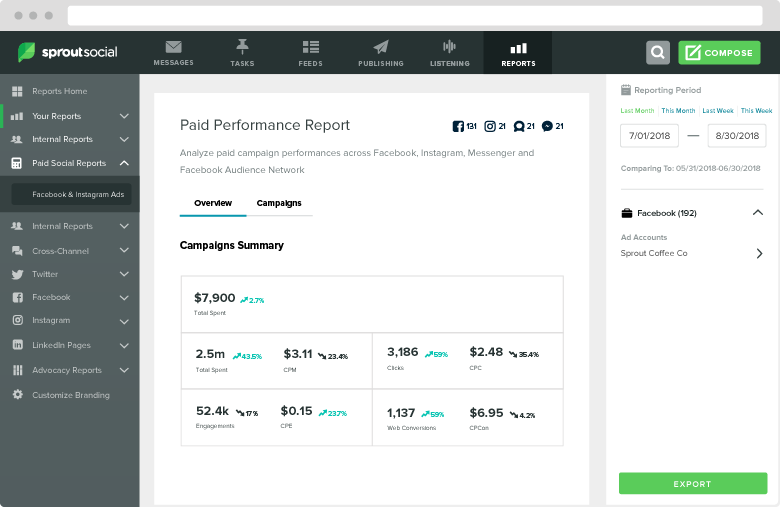 Paid performance reports through Sprout provide a crystal clear picture of ad performance including clicks, conversions and the overall cost of generating leads. Seasoned marketers will always set clear objectives before planning or implementing a new social campaign. Objectives might vary depending on your industry or brand, though. For example, some brands want to tailor their campaigns to increase customer retention, while others are focused on amplifying reach in the marketplace. Your objectives can be fairly broad but should be the guiding principle behind the rest of your campaign plan. We recommend the Objective and Key Results (OKR) Method to identify broad objectives that are supplemented with specific, numbers-driven key results that align with our predetermined success metrics. These success metrics could reflect engagement metrics including shares, likes, and comments, or could focus on conversion tracking to determine the business value of shared content. Objective: Increase web traffic from social media in Q1 2019. Key Result: Increase unique page visits by 10% in Q1; increase click-through rates on Facebook and Instagram posts between January and March 2019. Your main objective above is to increase web traffic driven from social media. Success for this objective will be determined by the number of unique page visits and the click-through rates attributed to your selected social channels. Your key results should define what metrics you will analyze, what success looks like and how you will determine if your campaign has positively impacted overall business objectives. The organic content you share on social has a tremendous impact on SEO and the community-building process around your network. However, organic reach is dwindling with increased noise and competition in the social space. This means that any worthwhile social media marketing plan should include a hybrid paid and organic strategy. Supplementing organic content with paid ads is becoming increasingly common for up-and-coming businesses as well as established brands. As you start planning for 2019, consider whether or not paid social will benefit your business. 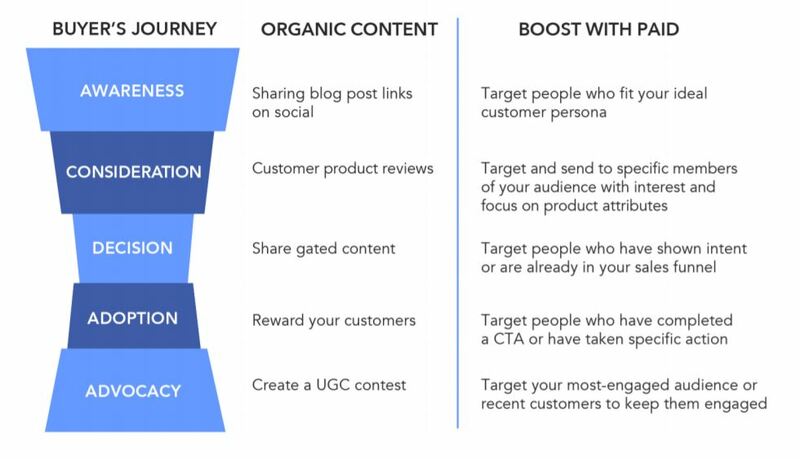 Let’s quickly dive into the difference between organic and paid social and how you can boost your organic efforts with a paid social strategy. Organic social content consists of using free tools provided by the social networks to share posts, respond to customers, and interact with your social community. All modern social networks provide native analytics and opportunities to engage followers at no cost. Your paid social strategy encompasses content you’re paying to display, including ads (text, image, video, carousel) or sponsored messages, all targeted to a specific group of social network users based on user profile. While auditing your content from 2018, try to identify your most effective pieces. For example, was there a specific blog post that performed better than others when you shared it on social? If so, would boosting that content with a paid advertisement make a significant impact on your lead generation or conversion rate? Organic content is essential and your past archive of assets can still prove beneficial in the new year. Think of ways you can retarget or update your content to ensure that what you share on social is reaching your target market through the right channels — and don’t be afraid to invest (or reinvest) in your top-performing posts. After you’ve determined your objectives and key results and have considered the role of organic and paid campaigns, you can start building out a detailed social media marketing plan for your content. This plan outlines your target audience, the type of content you will produce, where it will be shared and any resources or budget you need to implement the plan. To help make the campaign planning a bit easier, we’ve constructed campaign planning worksheets (editable in Apple Preview or Adobe) for social marketers to use that align with where their customers are in each stage of the buyer’s journey. Trends come and go. Social marketers probably know this better than most. However, there are a number of trends and behaviors that have become staples of social media and industry best practices. Understanding social trends will not only enable you to diversify your content but will keep your business competitive in the over-saturated social media environment. Below is a quick list of emerging trends that you should consider as part of your social media marketing plan. These trends can provide some much-needed inspiration as you brainstorm your content for 2019. Perhaps the most pressing trend that shows no sign of slowing down is the rise of video content. Whereas 2017 saw a boom of live video and video-centric Stories on Facebook and Instagram, long-form social video saw a sort of resurgence in 2018. 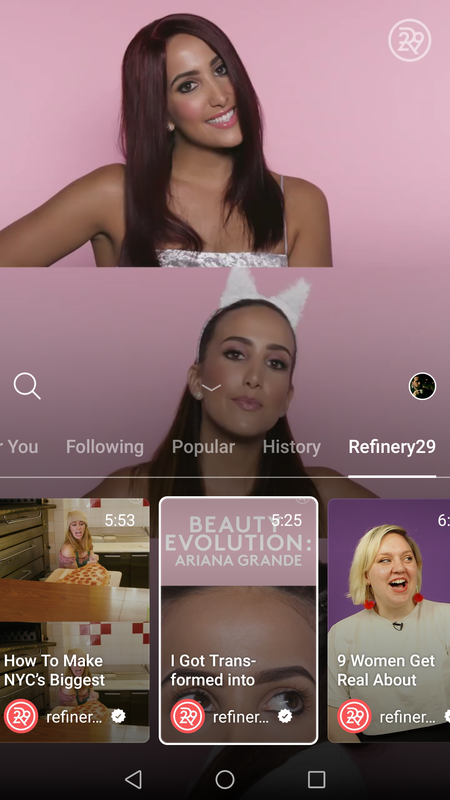 Instagram’s announcement of IGTV signals that brands are expected to move beyond bite-sized video and step up their production value accordingly. As highlighted in recent research by Cisco, video content is taking over the web at large. From casual streaming to live video and beyond, people are increasingly inclined to consume video versus a blog post or any other form of content. 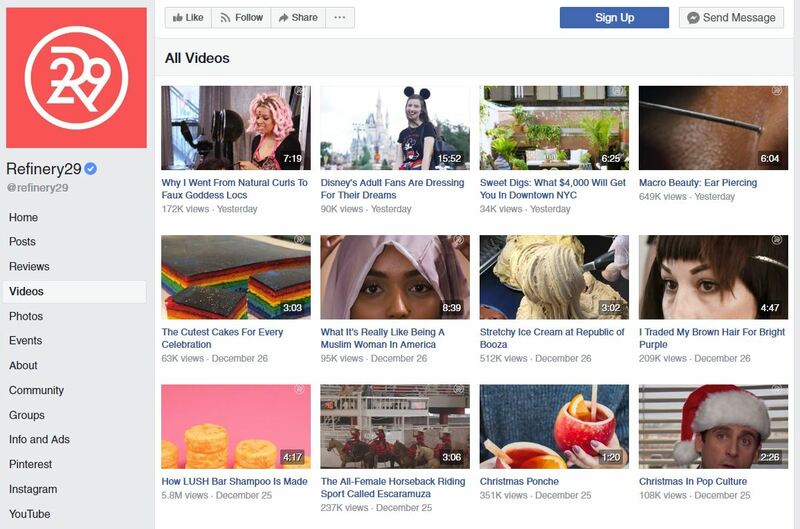 Facebook themselves notes that video receives the highest rate of engagement on their platform. Social media has shaped some very specific consumer expectations when it comes to customer service. As noted in our guide to Twitter customer service, people see social media as their go-to channel to communicate with brands. Why? Because customers expect timely updates and responses from brands rather than tedious back-and-forth. For example, Twitter provides the perfect avenue to keep customers in the loop about your business without having to worry about blasting an email. This sort of interactivity and immediacy serves as proof that you’re looking to put your customers first. 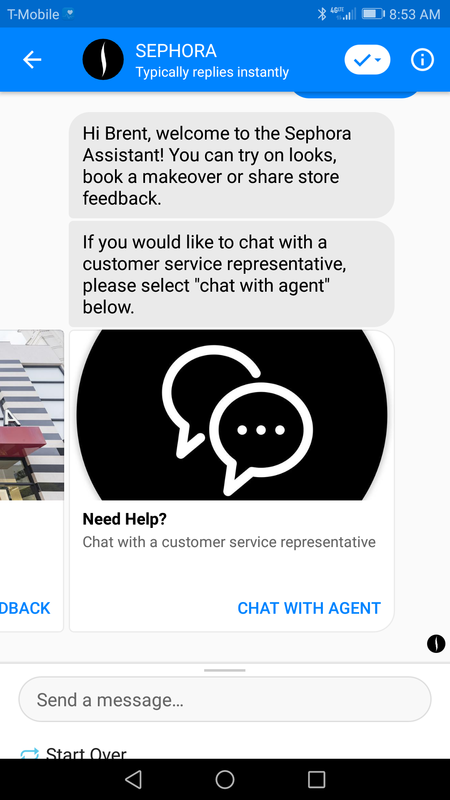 It’s also the same reason we’re seeing brands roll out robust chatbots which address customer concerns around-the-clock. Think such bots are just a novelty? Think again. Here’s some food for thought: 24-hour service is the number one benefit of chatbots according to consumers. The ability for brands to “be there” 24/7 could be the difference between your next deal and somebody bouncing to a competitor. As noted, the amount of noise and competition in the social space has reached an all-time high. Standing out means having as many people as possible singing your brand’s praises, including your employees. According to Bambu, promotional content is re-shared 24x more often when shared by employees versus brands by themselves. Don’t just limit your content to your business account’s followers. Embracing employee advocacy opens your brand up to new audiences and provides your brand with a much-needed sense of authenticity. Having more human voices behind your brand immediately sets you apart from the competition, plus it expands your reach. 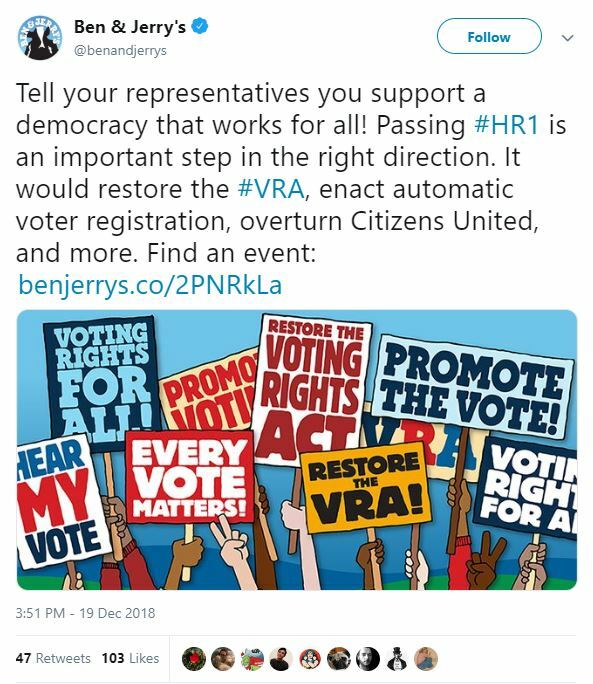 Speaking of advocacy, there’s arguably no better place to source social content than your own customers. User-generated content receives more engagement than branded content and is likewise perceived to be more trustworthy. There’s a reason why brands today love to put their customers and their respective success stories on display. Beyond serving as social proof, encouraging UGC makes it easier to fill out your own content calendar. Through branded hashtags and social listening, brands never have to wonder where their next post is coming from. Reality check: your audience wants you to be honest with them. And through social media, it’s easier than ever for consumers to hold brands accountable. Rather than hide behind the veil of being a business, consider that customers today crave transparency. 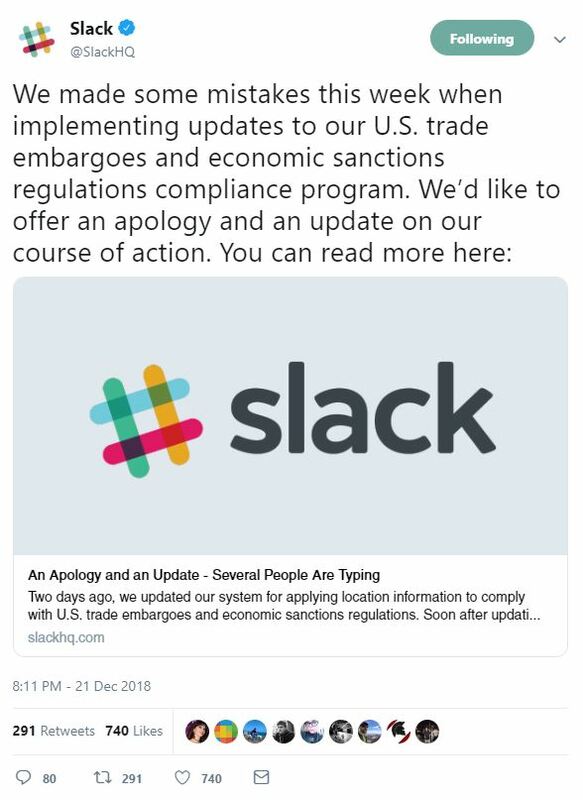 This includes admitting mistakes and responding to customers sincerely. Don’t assume that your screw-ups have to result in some sort of PR disaster. Instead, own your mistakes and be willing to put the human side of your business on display when going back-and-forth with customers. Upon Stories’ 2nd birthday in 2018, Instagram themselves noted that 400 million people user Stories daily. That sort of growth is nothing to scoff at. Time-sensitive, ephemeral content doesn’t show any signs of slowing down in 2019. The ability for brands to tell stories and publish behind-the-scenes content taps into that aforementioned desire for authenticity from consumers. Between new Stories-based ads and interactive elements like Stickers, social storytelling will certainly evolve this year as well. We’ve talked a lot about how organic reach is changing for marketers for good reason. 2018 managed to confirm a lot of speculation as brands and businesses alike saw their organic reach on Facebook slow down, or in the worst of cases, completely plummet. This means brands should be taking action about organic reach as well as recognizing the need to invest in paid ads. 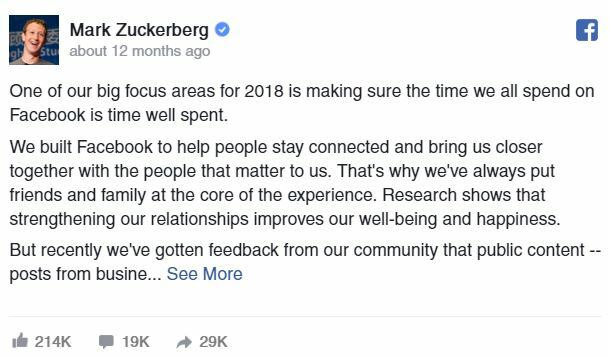 In fact, Mark Zuckerberg stated in his own words that the everyday user would take priority over businesses in the new Facebook algorithm. The takeaway? Brands need to consciously adapt to a social landscape that’s becoming increasingly competitive and pay-to-play. 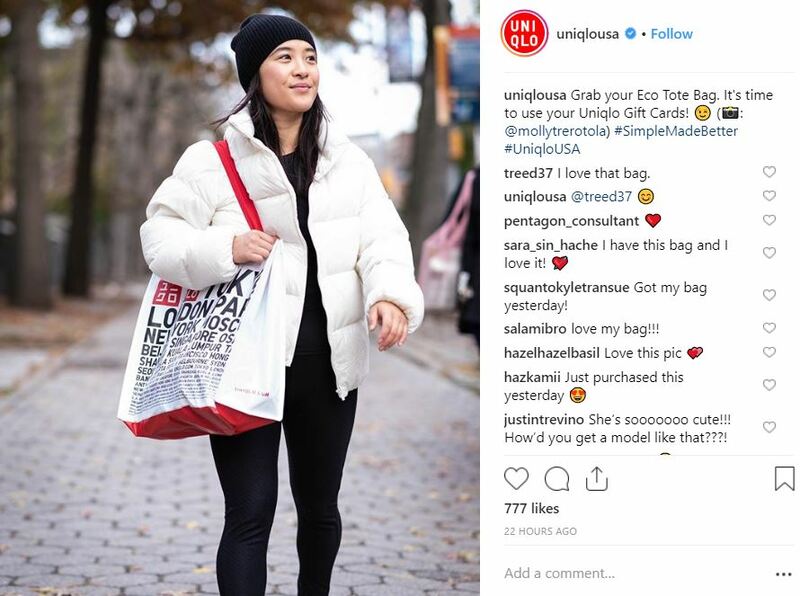 Through a combination of optimized organic content and paid advertising, brands can expect to get the best of both worlds in 2019. 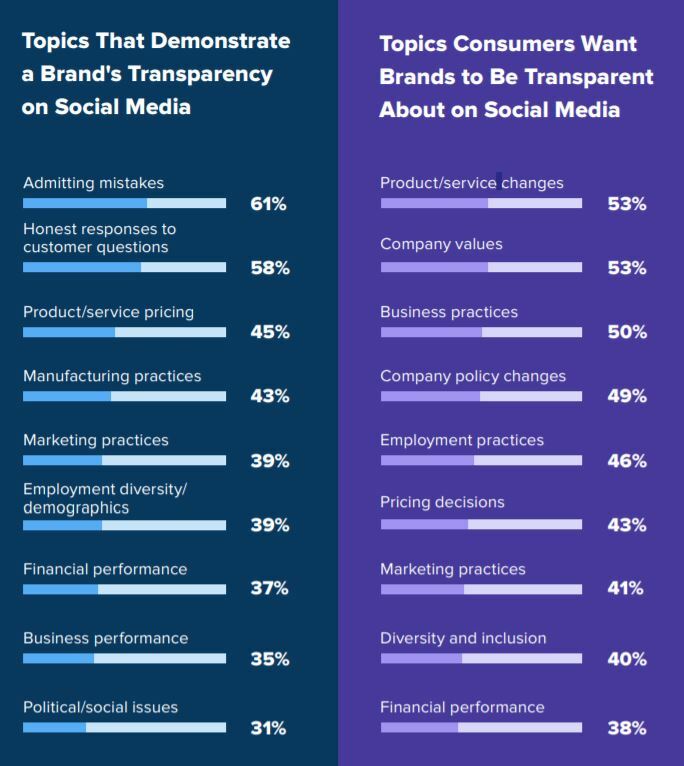 Conventional wisdom tells us that brands should shy away from politics and keep their social feeds strictly focused on business. As part of Sprout’s #BrandsGetReal study, it was found that 66% of people actually believe it’s “important” for brands to take a stand on current issues. The key to doing so effectively is to avoid being tone-deaf and ensure that stand is relevant to your audience. There’s always the underlying fear of potentially alienating some of your audience or causing controversy. 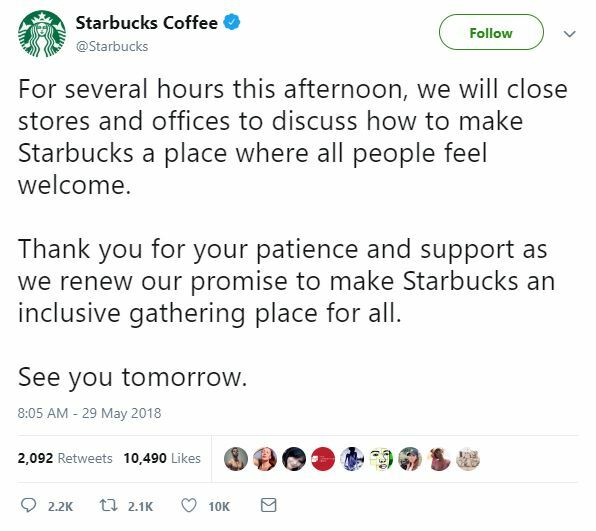 Yet again, the need for authenticity and transparency rears its head for brands, and a willingness to stand up for relevant causes and values can put your business is a positive light. Turning social media into a direct sales channel is a sort of holy grail for many brands. Doing so doesn’t have to be a pipe dream. Platforms like Instagram and Facebook have proven to be sales powerhouses in the world of ecommerce. There’s no denying the correlation between record ecommerce spending and the fact that people are spending more time researching products via social than ever. Brands today should feel more comfortable taking a more direct approach to social selling. Transaction-specific captions and calls-to-action are totally fair game for today’s audiences and could very well be your ticket to a greater social ROI in 2019. As you iron out your social media marketing plan, be sure that your efforts continually support your business goals. We recommend you to use the planning worksheets included in this guide to flesh out your marketing plan (editable in Apple Preview or Adobe). The worksheets will ultimately help you build content specific to where your audience is in their buyer’s journey. This will help you maximize the reach and influence of your branded messages during your planning. With these worksheets and this guide, you’ll be armed with actionable insight as you look to make 2019 your best year yet. Just remember to measure the metrics that matter most to your business based on your goals. As you begin to brainstorm your content calendar, keep the trends above in the back of your mind. 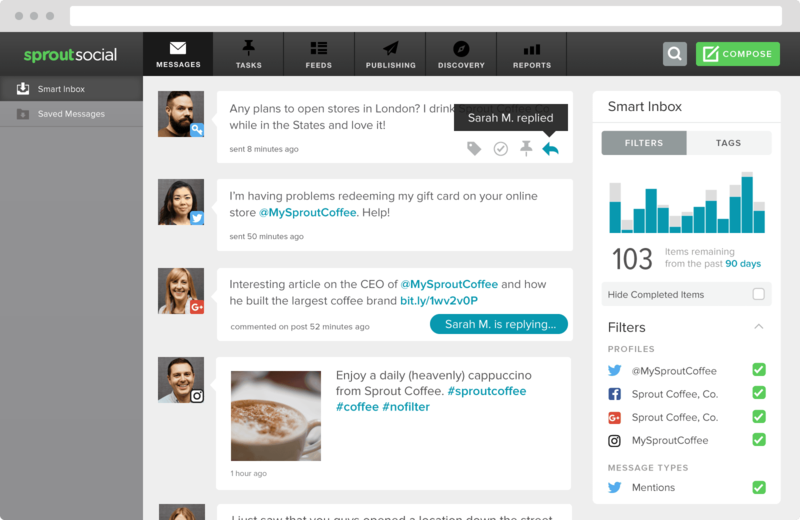 This will ensure that you’re sticking with social’s best practices. 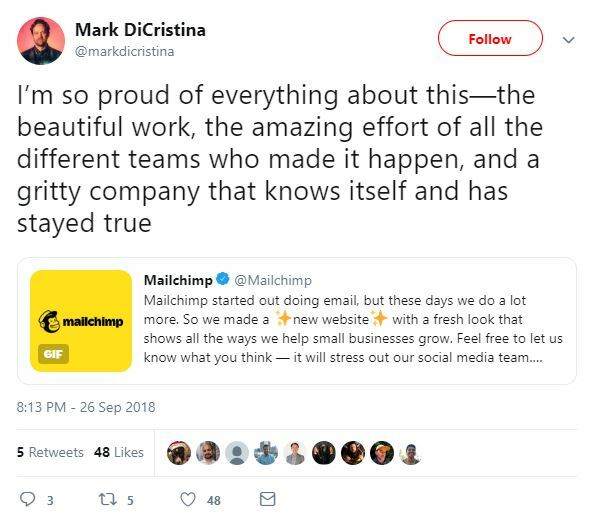 And with that, you’re ready to start planning your 2019 social media marketing strategy. Best of luck and happy planning!